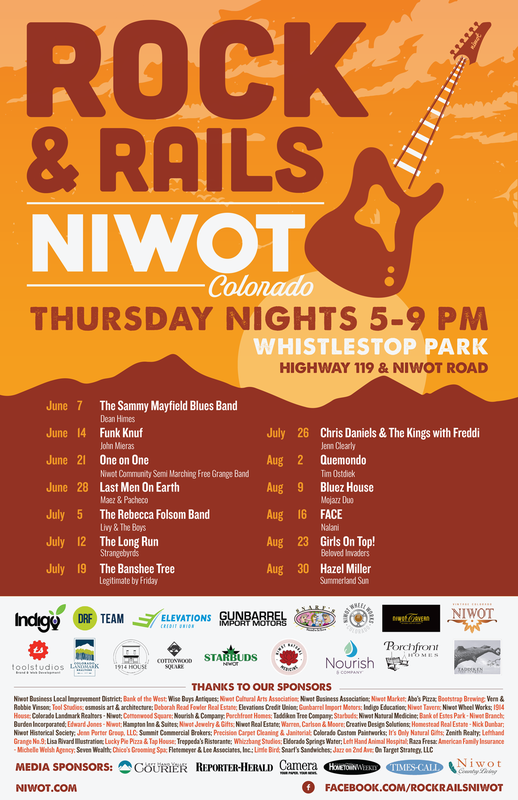 Niwot's FREE summer concert series runs every Thursday night, June through August, in Whistle Stop Park. As the recipient of the Governor’s Award for Downtown Excellence for Best Promotional Event, Rock & Rails is a well-attended, much-loved event in the Niwot community. 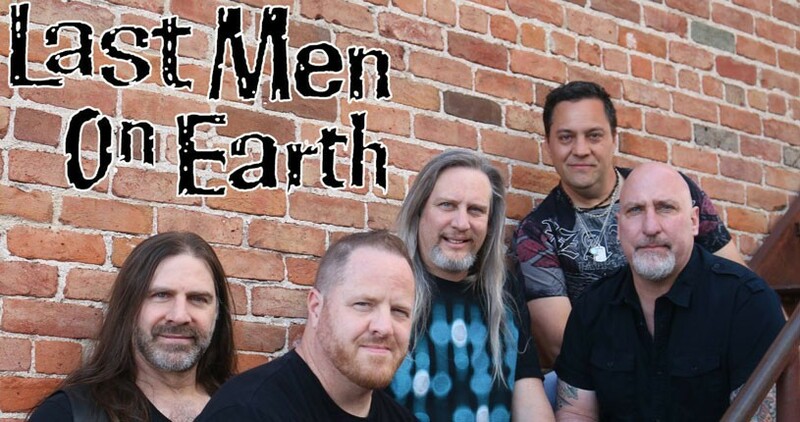 Last Men On Earth is one of Northern Colorado's newest and most popular live rock bands, playing a mixture of classic cuts from the 70's, 80's, 90's and beyond. NO OUTSIDE ALCOHOL IS ALLOWED IN THE PARK. Personal bags and coolers are screened at the entrance gate. We will ask that you dispose of all outside alcohol or return it to your car before entering the park. No alcohol is allowed to leave the enclosed area of Whistle Stop Park. No alcohol is allowed to cross-over the road to the Children's Park. All alcohol must be disposed of before leaving the enclosed area of Whistle Stop Park. NO DOGS ALLOWED, with the exception of service dogs. Rock & Rails is loud and crowded and is not the best choice for dogs. A variety of food trucks and local beer vendors serve Rock & Rails patrons so bring cash for easy purchasing. Portable chairs and blankets are allowed. Please be kind and respectful to your neighbors and to the Park with your choices. Your support of Rock & Rails supports community efforts by the Niwot Cultural Arts Association and the Niwot Businesss Association. Proceeds this year will fund, among other projects, the ongoing mainteance and upkeep of our new Children's Park. Thank you!